Having a good time this lunchtime reading the #FiveWordTechHorrors tweets that have suddenly gone viral on Twitter. In five words or less, people are describing their own horror stories. This is truly hysterical on a number of levels. If you want to read about how this hashtag got started, check out this article on Geekwire about the phenomena. 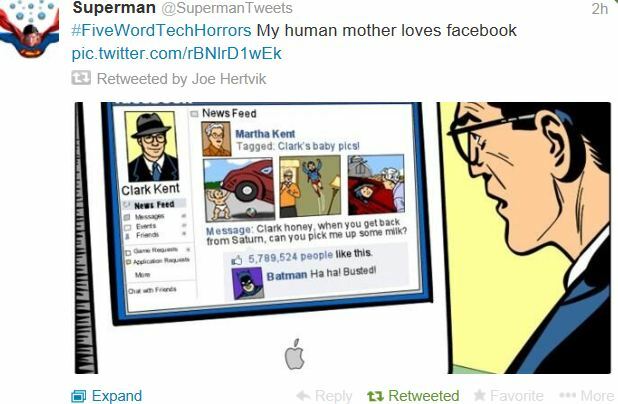 Click here to read more #FiveWordTechHorrors tweets.